Golden Vision (Sarasota) - Book Appointment Online! Primary Eye Care & Full Service Optical. Dr. Wayne Golden is an optometric physician serving Sarasota since 1994. We can provide comprehensive eye & vision exams, treat eye infections & injuries. We have a full service optical and lab to meet all of your glasses & contact lens needs. This place is great, been going here for years! All the staff is friendly and very helpful. 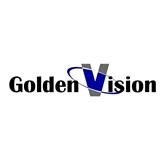 Golden Vision also has specials throughout the year to make it affordable also. Would definitely recommend them.